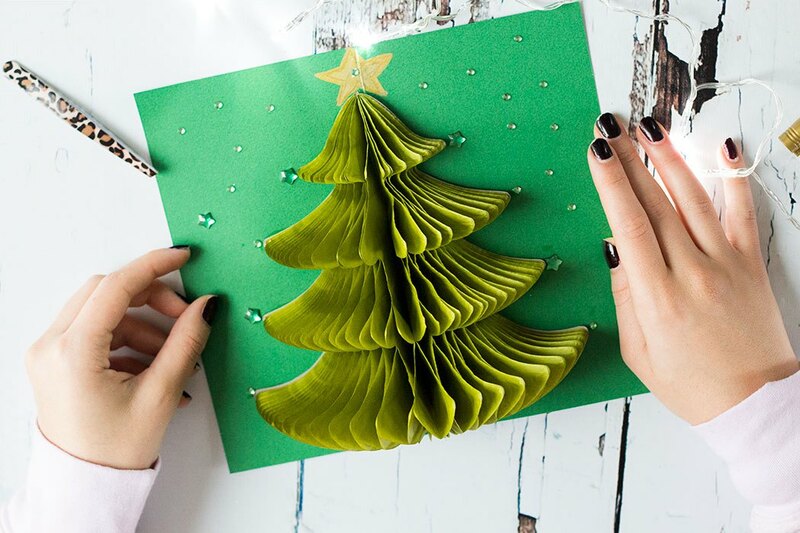 Don't settle for buying generic Christmas cards from the store, and instead get inspired to make your own with our 20 DIY Christmas card ideas. 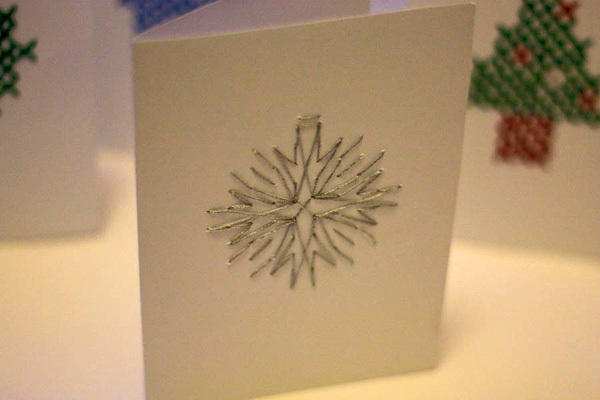 Most of your friends and family will probably have their Christmas cards on display for all to see, so why not give them a card that will stand out by making it yourself. 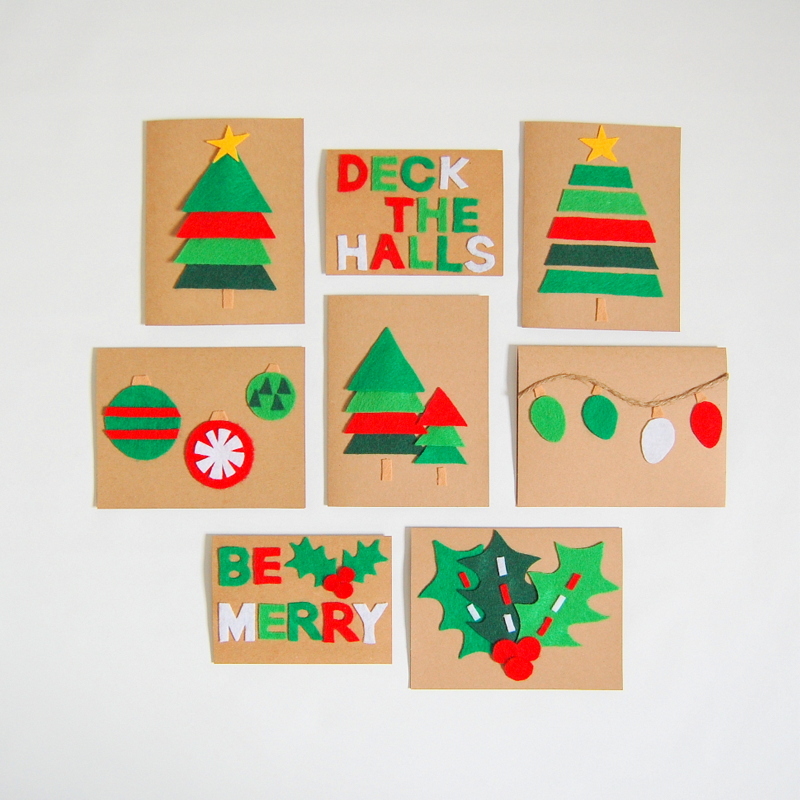 Here are 20 DIY Christmas card ideas to give you some inspiration. 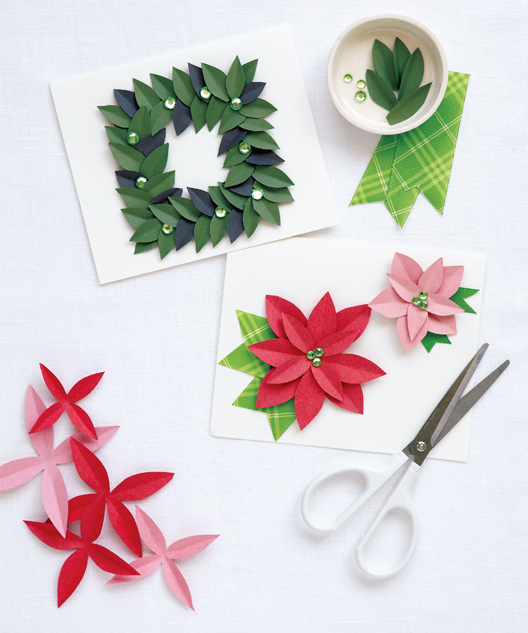 Create pretty and festive patterns using different colored sheets of felt. Get your children involved and make these personalized fingerprint cards for your friends and family. 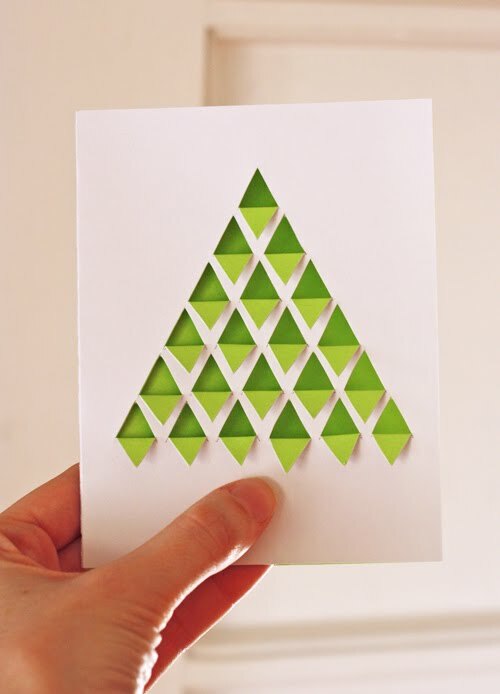 If you've don't have much time on your hands, this is one of the easiest DIY Christmas card ideas you can do. Simply use glitter tape to make festive shapes such as a Christmas tree. 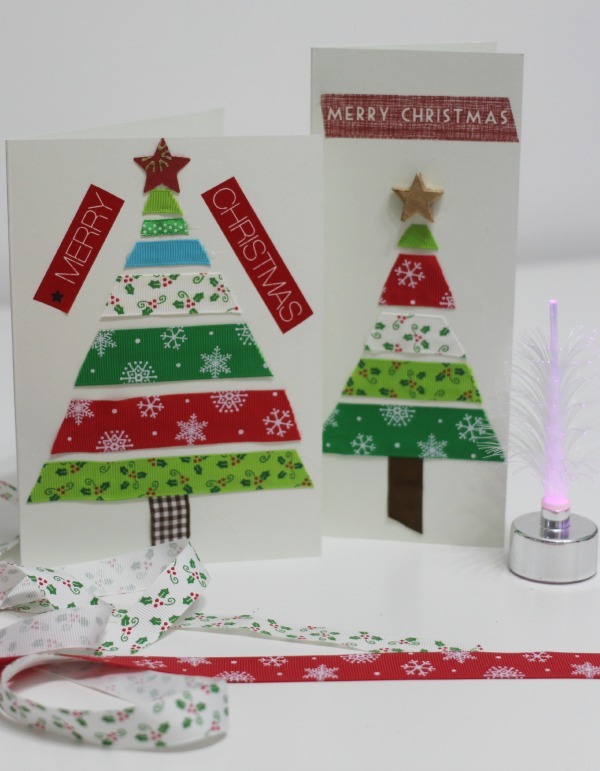 Make eye-popping cards with fun DIY Christmas card ideas involving pop-ups. Poinsettias are traditionally grown indoors during Christmas, as well as being used in several Christmas floral displays. You can easily create this iconic symbol of the holiday season using colored paper, and make it the centerpiece of your Christmas cards. 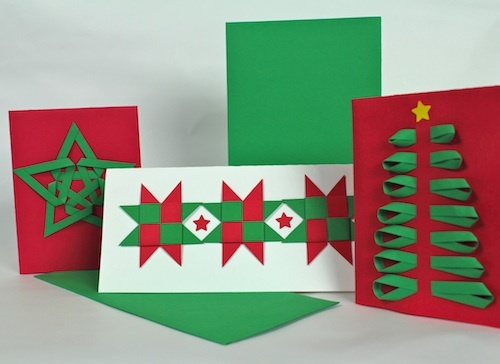 Loop strips of colored paper through pieces of card to create different colorful festive designs such as Christmas trees and stars. 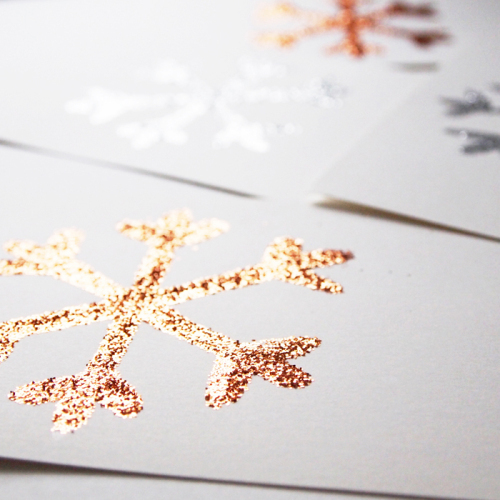 Create pretty glitter designs such as snowflakes using just glue, glitter and a brush. Get creative with ribbons and involve your children in making these fun Christmas tree designs. You don't have to stick to traditional Christmas colors, so why not make them with ribbons in your favorite colors. 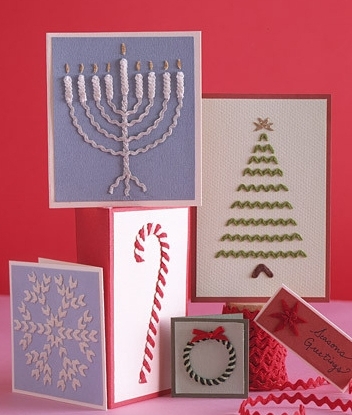 If you have experience with cross-stitch or would like to try it for the first time, then consider embroidering designs on Christmas cards. It's really simple to do and people will appreciate the effort you put in. 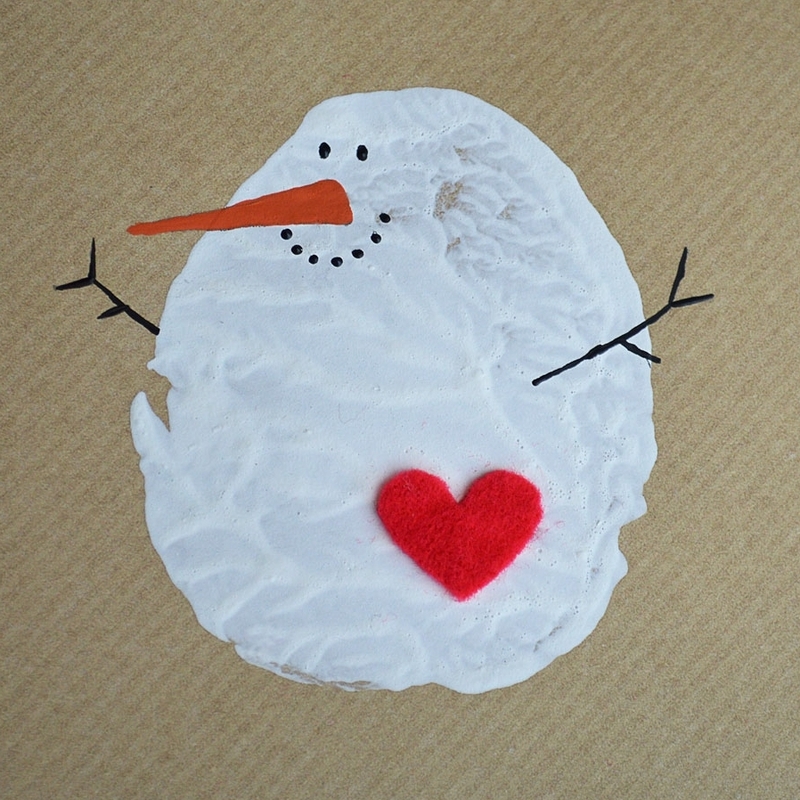 Make these really easy and cute Christmas cards with a potato and some acrylic paint. Some of the DIY Christmas card ideas you can do for this design are a snowman, robin and penguin . Feature your favorite photos on cards and give them to your friends and family. They will appreciate them a lot more than a generic card from the store. Use up old buttons that you have lying around your house and turn them into a Christmas pattern such as a tree. 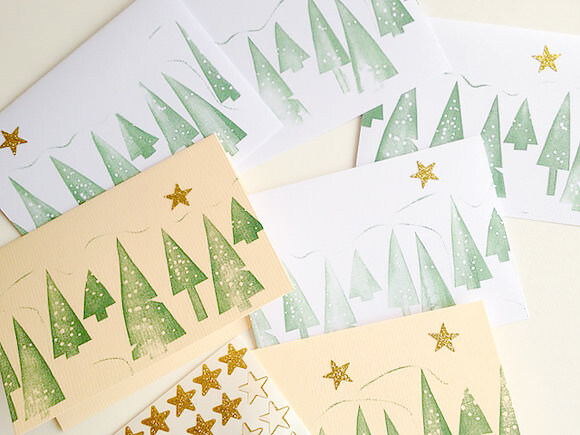 Washi tape has several uses, and one of them is making fun Christmas cards. 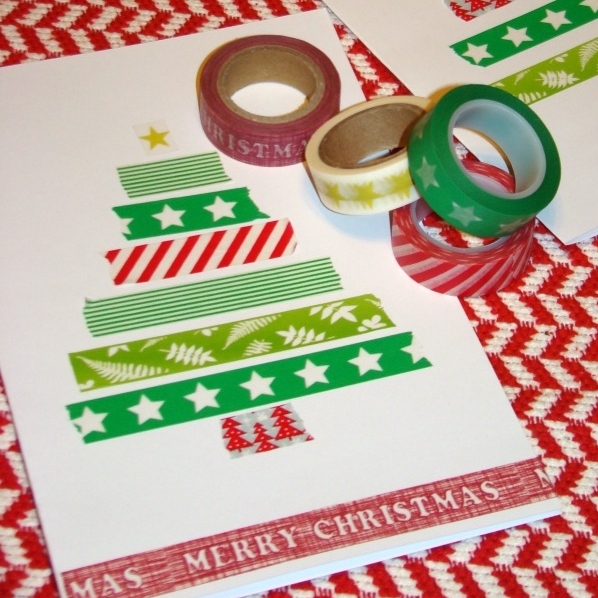 Similar to glitter tape, you can easily make Christmas tree designs using this versatile product. 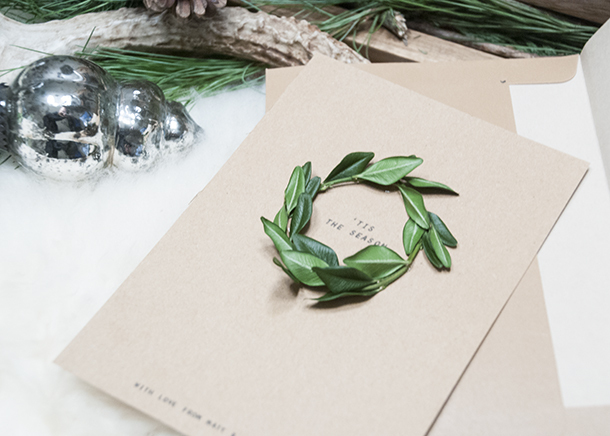 Create authentic miniature wreaths for your cards using sprigs from a real wreath. You could even use other plants such as rosemary if you wanted your cards to have a nice smell. 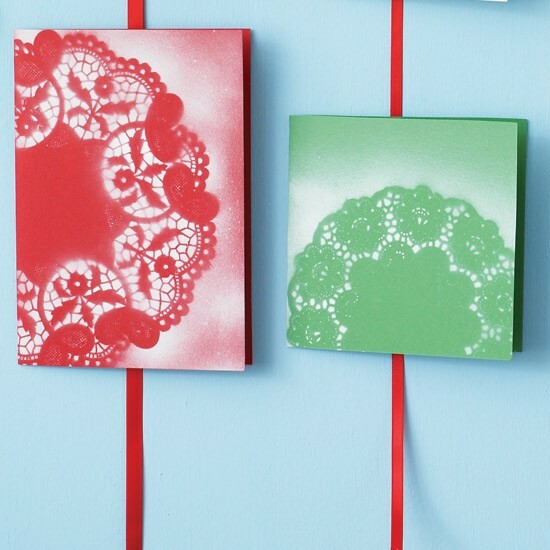 Create this pretty effect by simply placing a doily on a piece of card and spraying it. 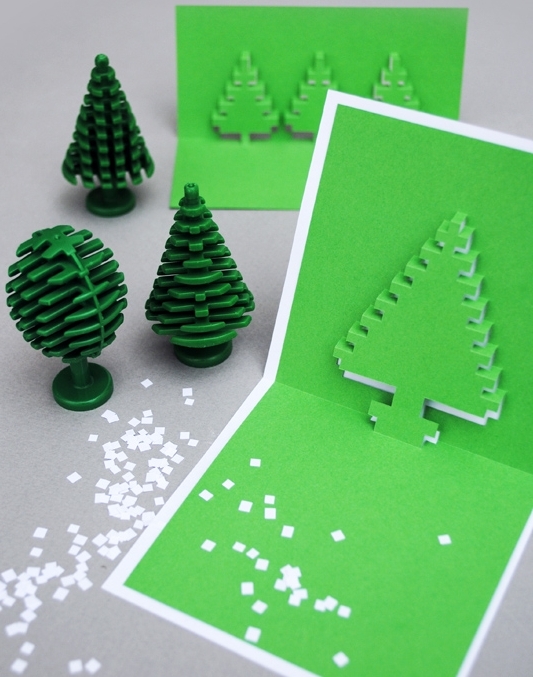 Make your cards literally stand out, with this pixel pop up tree design. 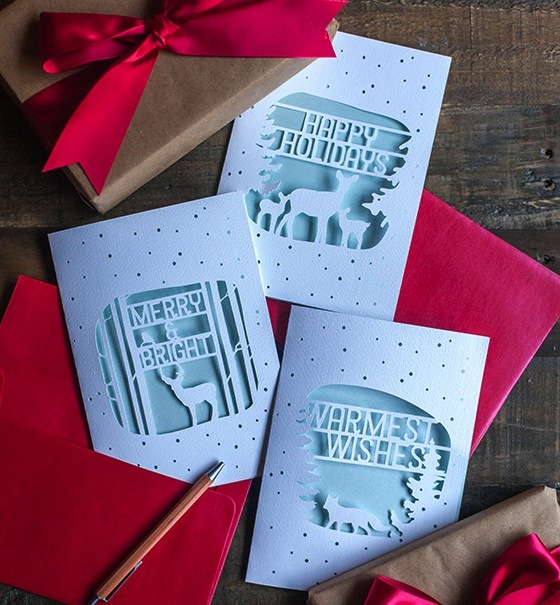 In the past you may have attempted to carve a pumpkin for Halloween, but have you ever considered cutting out a design on a card for Christmas? Turn wavy cotton trim into festive designs such as trees, candy canes and snowflakes. 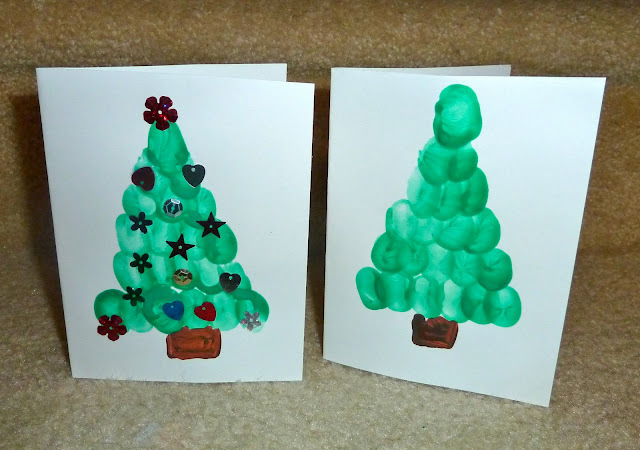 Make your own handmade stamps using a lint roller to create these fabulous christmas tree designs. 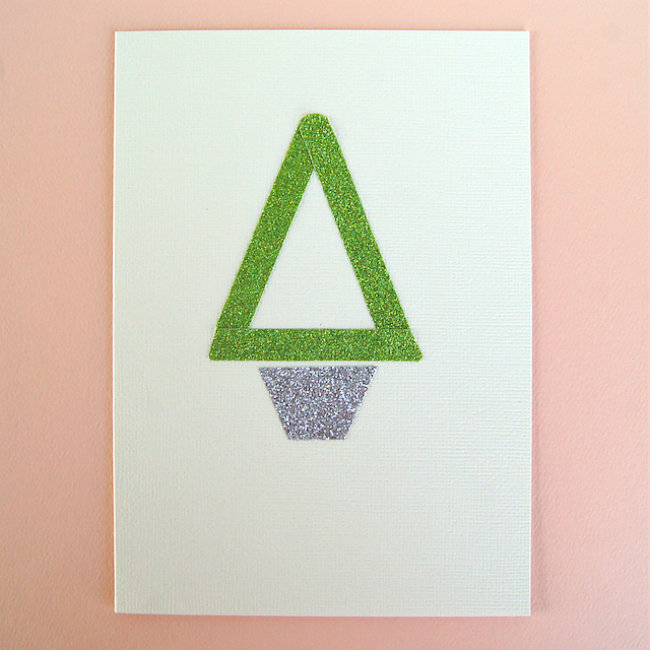 Create a simple but effective geometric design using just glue, a craft knife and two pieces of card in your choice of color.